lightweight, water-resistant and help to keep your dog comfortable, whatever the conditions. With fur resistant outter shell, makes for the best mat around. Our K9 Mats are created with layers of the highest technical smart fabrics. releasing the stored energy when the temperature cools. 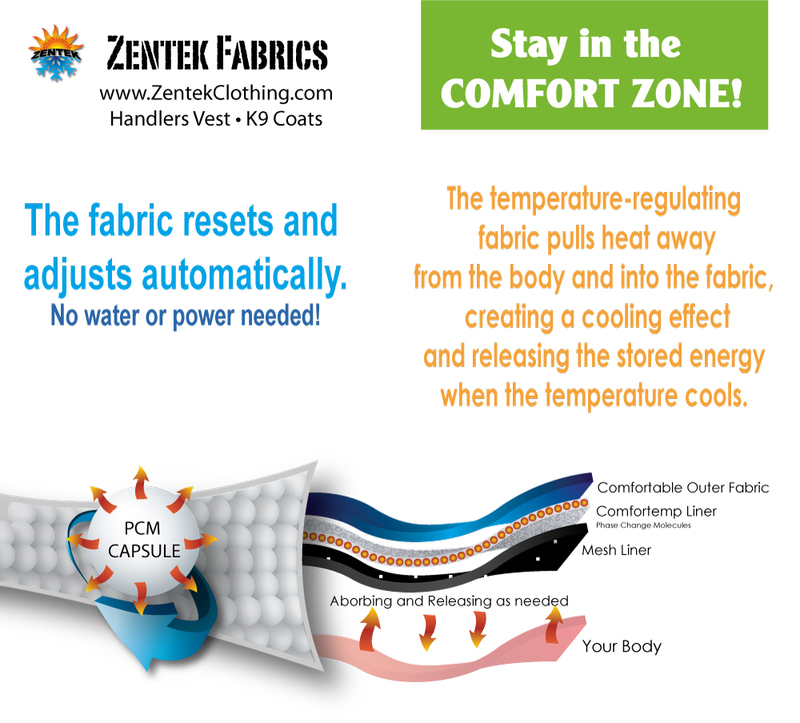 Read more about Comfortemp fabric. How long does it last? FOREVER! Going on ten years! Since the micro capsules are imbedded into the fabric and are set to adjust automatically, the mat will do it's job forever! No freezing or power required! Amazing! 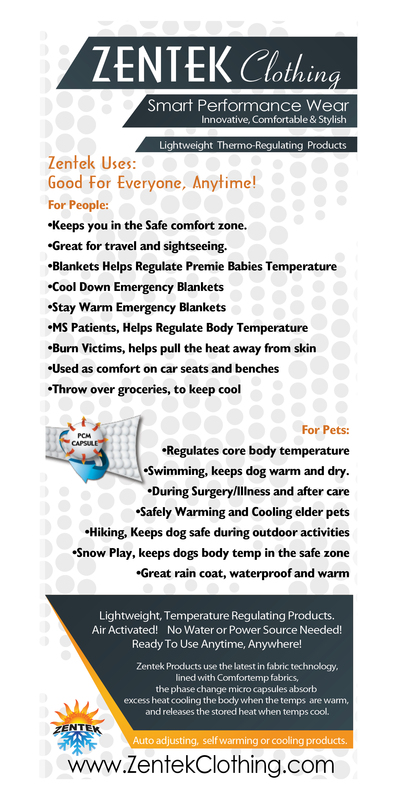 SAFER ALTERNATIVE to typical cold mats. It is not safe to ice an overheated dog. 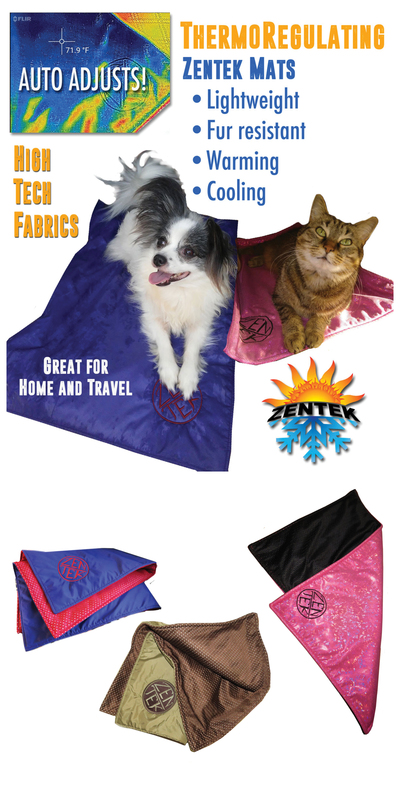 Zentek Mats keep your dog in the safe zone, by keeping a steady temp, pulling the heat away from the body. AND.... keeps them warm during winter, after trials, after surgery! 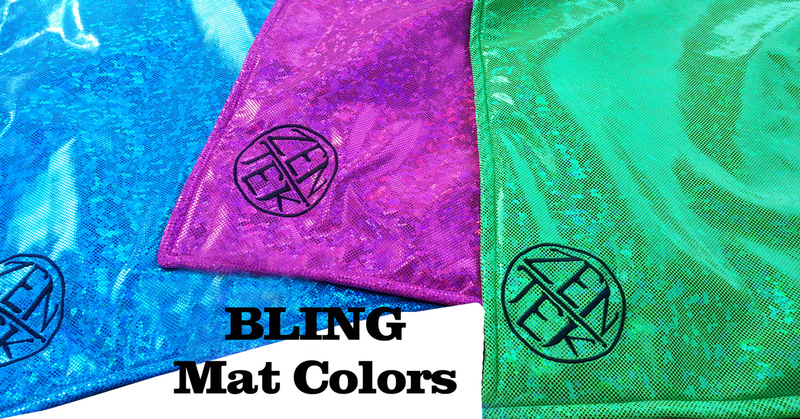 ** The bling colors are made like a pillow sham.. so you can slip a 1-2" pad inside them.. or even a cold pack. This also ensures the pad stays flat and in place. It's well made & very nice, but my dog keeps pushing it out of her way. Perhaps she generates too much body heat? I love how they are made and they are nice and cool for the dog. My only negative is that they are so light that they bunch up instead of staying flat in the crate. We love these mats and use them at the dog show. You can slip an ice pack inside and it stays cold to cool all day long. They are gorgeous mats. I ordered a bling mat for my forever hot cocker spaniel, Cash. This dude has a massive amount of hair and even when clipped short seeks the cold. We do nose work a sport done best when not panting. We recently trialed in North Carolina on an 80F weekend and l crated in the car. With a fan for each dog and shade cloth over the car I didn't see Cash pant once! I was sold after the weekend and ordered a second one for my other cocker Raleigh when we got home. The bling fabric awesome, catches everyone's eye, easy to store and tote from place to place and machine washable!!! Customer service also A+, pleasant on the phone for questions and over quick to respond over email. The pad is surprisingly cool to the touch. Our Bernedoodle is mainly black and gets very hot when he has to be in his kennel at agility trials. This solves the problem without having to wet him down. I have had Zentek pads for more than 2 years. The product works as advertised and is very durable. My dogs love them, summer and winter. We live in the middle of Spain. Very hot yet dry weather in summer. Most of our house is finished with hardwood floors, except kitchen / bathrooms where we have tile.... my dog was anxiously looking for the tiles as it was clearly more comfortable...yet with the pad he enjoys now even napping on hardwood. It seems it works!